Breaking into the Chinese market is fast becoming the ambition businesses of all sizes. Irish goods and brands are well respected in China and there are excellent opportunities for them to make profits in this fast-growing market. However, the Chinese market is notoriously hard to enter, and it was this point that encouraged us to establish eComHub. Many businesses are leaning towards China for its growth. But there are real differences in how business is done in the Chinese market and how it is done in Ireland. That’s the area we are exploiting and can help our customers with. eComHub offers its clients a “360-degree” service with research, marketing, logistics and after-sales support to businesses selling in China. The company also guides and assists clients to establishing their brands with online marketplaces, such as Tmall and JD.com, which are responsible for a huge amount of the trade conducted on-line. In fact eComHub can have a business selling on-line in the Chinese market within 8 weeks from the initial enquiry and agreement. Already the eComHub service has become popular with a number of Irish company’s selling a wide range of products and goods produced in Ireland including Nutrition, Foodstuffs, Healthcare and Baby Food. 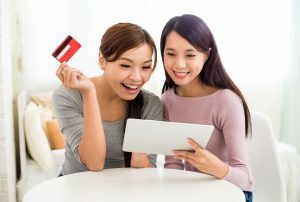 After ensuring that the clients goods are listed on the on-line marketplace, orders are taken on-line from Chinese consumers, payments processed and goods shipped with a fast and fully tracked delivery to customer’s homes in China. The system is fully secure and allows Irish producers to get their goods in front of almost 700m Chinese consumers who increasingly want to buy International goods from outside China.